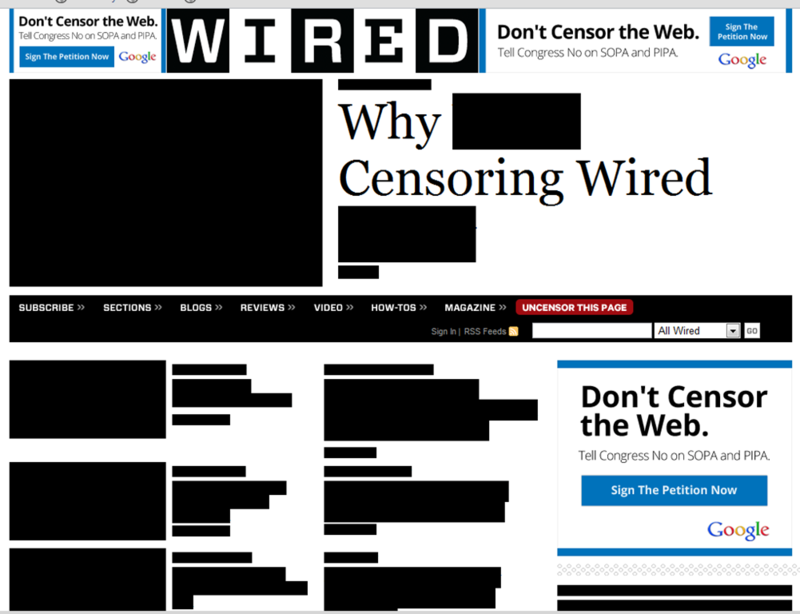 In case you haven’t heard, there are a number of websites/companies that have decided to black out their web pages today. 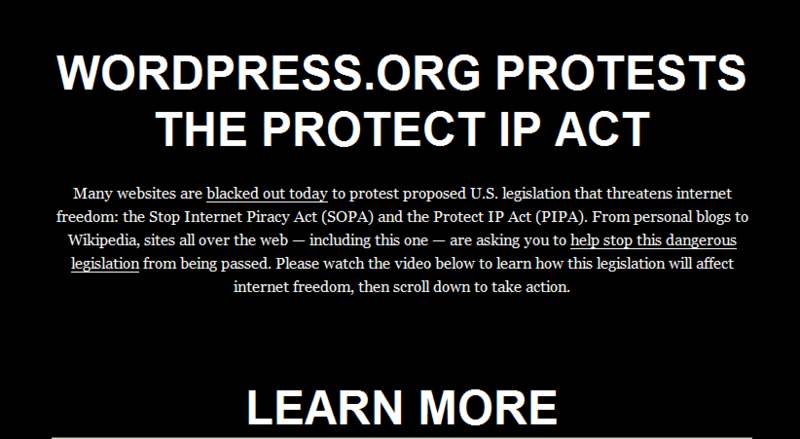 This is in order to join the protest against the U.S. Congress legislation which is being proposed called SOPA, or Stop Online Piracy Act. 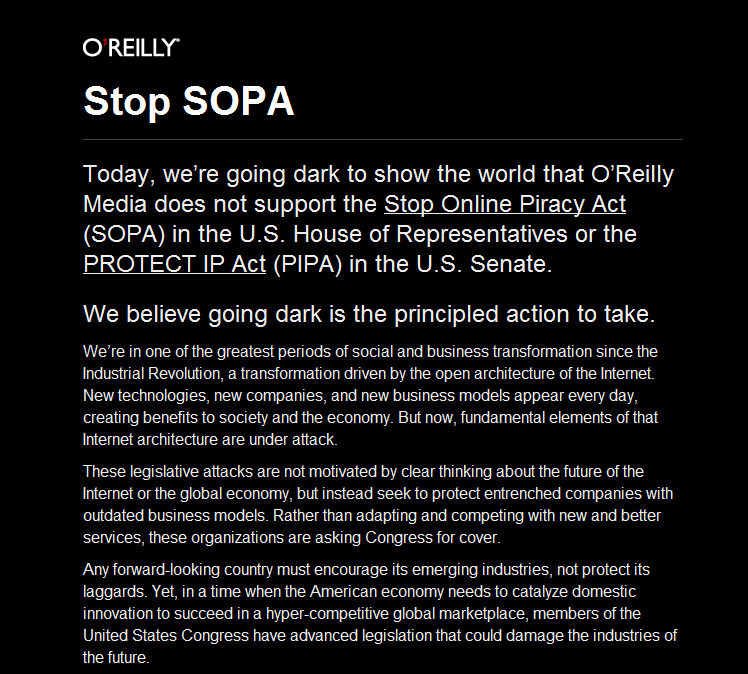 You can find out more information about SOPA here (which strangely enough is a Wikipedia page, so obviously, not all of their pages are going dark). 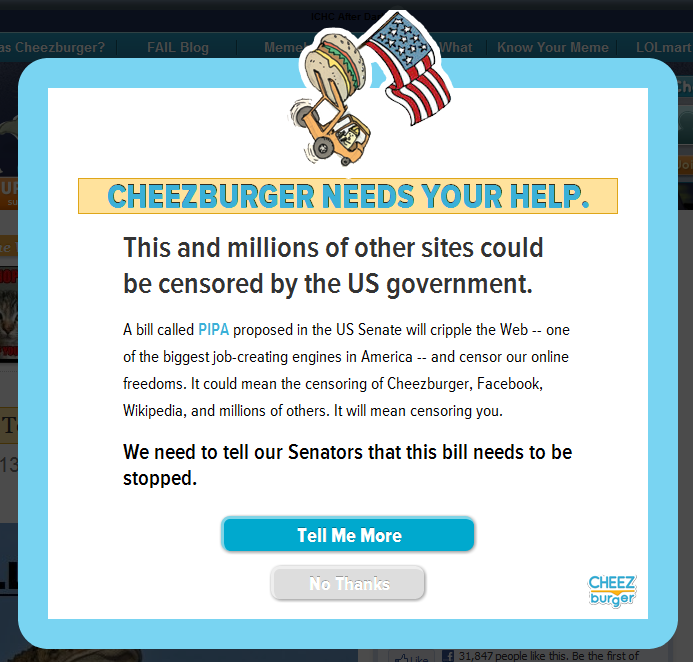 There are a number of other well known companies that are against SOPA. You can find a list here. 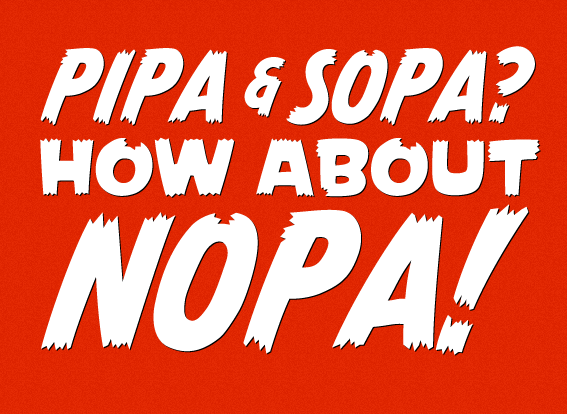 However, there are just as many companies that are in favour of SOPA, and you can find them here. 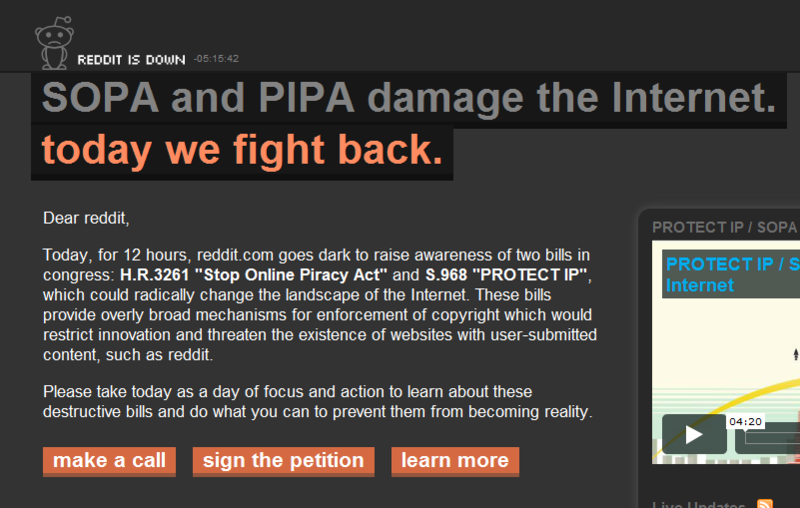 If you also don’t agree with SOPA you can join the protest here.